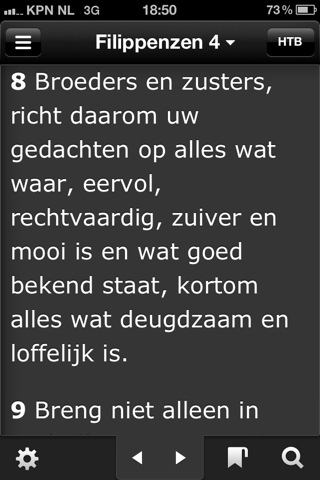 Reading a daily bible text in Dutch can motivate me in spiritual ways to confirm and express my thoughts and experiences in this daily life. How will this joy be understandable if a certain fact is still haunting me? What is it that makes me over-see the changes and makes me climb a mountain or swim a sea? Is it just a thought that matters, or is it true that the feeling comes from knowing more or knowing less than others? If it is better to give than to receive, how come it feels so fine to get what we want and ask for more? If we can make a difference by changing our selves and thereby our community and environment, than it is wise to know so and do so! If one can make a difference fisical and menthal, than one can make a big statement and change a lot spiritual. It is not the Gods that rule this world. It is us who can rule for peace! Peace and understanding, that's what it is about! Do you agree? Or do you agree to disagree?